If you want to discover who you are as an advocate, learn how to raise awareness about metastatic breast cancer and connect with other people living with stage IV, Hear My Voice may be for you. Hear My Voice Volunteers are trained how to use their personal stories along with statistics and insights about metastatic breast cancer to increase awareness. You will also learn about the many offerings LBBC has to help people in your community understand their diagnosis, make informed decisions and get the support they need. Past volunteers have “raised their voice” about metastatic breast cancer through blogging and social media outreach, spoken about their experiences in their local communities, participated on research review boards, started new advocacy organizations, shared LBBC materials with healthcare providers, called for more funding for breast cancer research, and so much more. 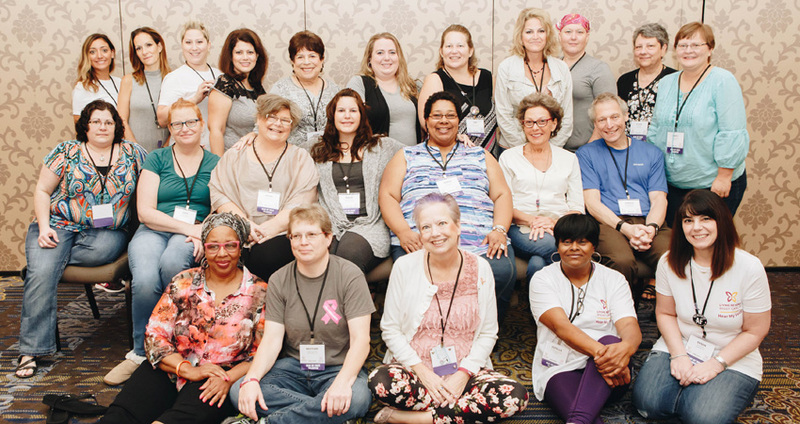 The 2019 Hear My Voice Training will be held in conjunction with the 2019 Conference on Metastatic Breast Cancer. After the training, outreach volunteers are asked to complete at least two outreach activities in their communities and to connect with at least one healthcare provider. Applications for the April 2019 Hear My Voice training are now CLOSED. The next Hear My Voice Training will be held in 2020. What is involved in the Hear My Voice Program? What other activities are required as part of the Hear My Voice Program? What costs does the program cover? The program is designed to offset the cost of traveling to the conference and training. It will NOT cover all your expenses. What will I be responsible for paying for? Any additional travel-related expenses, such as luggage fees, flight change fees, parking fees, travel insurance, etc. You are responsible for reserving your travel and making all necessary payments upfront. Hear My Voice participants are reimbursed for their travel expenses after they complete the training. If accepted into the program, LBBC will reserve your shared hotel room for you and assign you a roommate from the Hear My Voice Program. If you would like a single room, you will asked to pay for the full price of the hotel room. After the training, you can submit your receipt and LBBC will reimburse you for 50% of each hotel night (maximum of three nights).